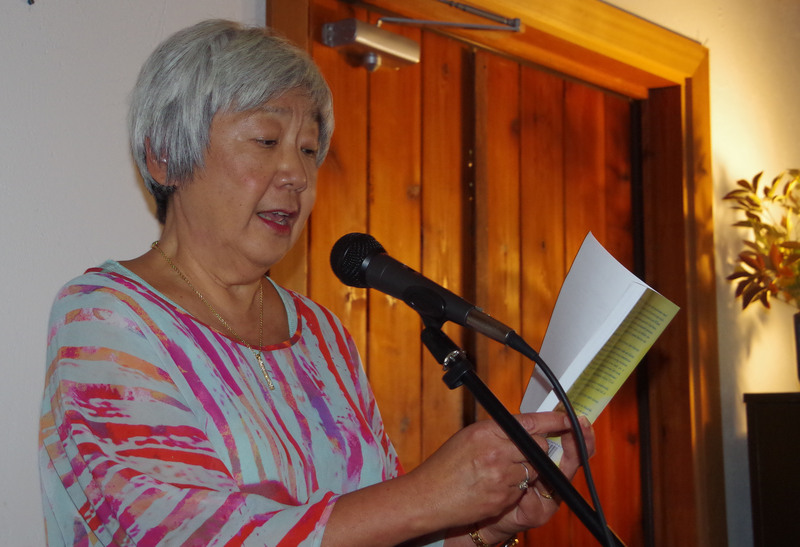 Nelson author Diana Morita-Cole launched her memoir, Sideways—Memoirs of a Misfit—at New Denver’s Nikkei Internment Memorial Centre the afternoon of September 12 to a full house. Many in the audience, both friends and fellow writers, had travelled 100 kilometres from Nelson to support her. The memoir tells the story of her family’s confinement in a Japanese-American internment camp in Idaho during World War II. Cole was introduced by Bruce Fitz-Earle, whose great-grandparents Fumi Kondo and Kitsutaro Kojima were interned in New Denver. In 1950, Fitz-Earle’s great-grandmother’s son, Henry, married Alice Fumiko Sato, whom he met at the TB sanatorium in New Denver where she worked while being imprisoned there. Morita-Cole answered audience questions about the writing the book. She says it took her five years to complete her memoir, a process she found stressful at times. When asked if she’d write another memoir, she was unsure, given how difficult Sideways was for her to complete. Morita-Cole was a member of the memoir-writing group hosted by fellow Nelson author Jennifer Craig and found the group critique process helped her shape the final manuscript. Craig is the author of the best-selling memoir Yes Sister, No Sister. A first-time author, Morita-Cole said she was surprised at how arduous the editing process alone can be. I asked her how the Japanese-American process of redress proceeded compared to the Japanese-Canadian process. She said the Americans settled just a year before Canada, which was in 1988 under Prime Minister Mulroney. Sakei Hashimoto, past president of New Denver’s Kyowakai Society, says to the best of his recollection, Canada offered just $1,000 more to each surviving internee than the Americans did – $21,000. 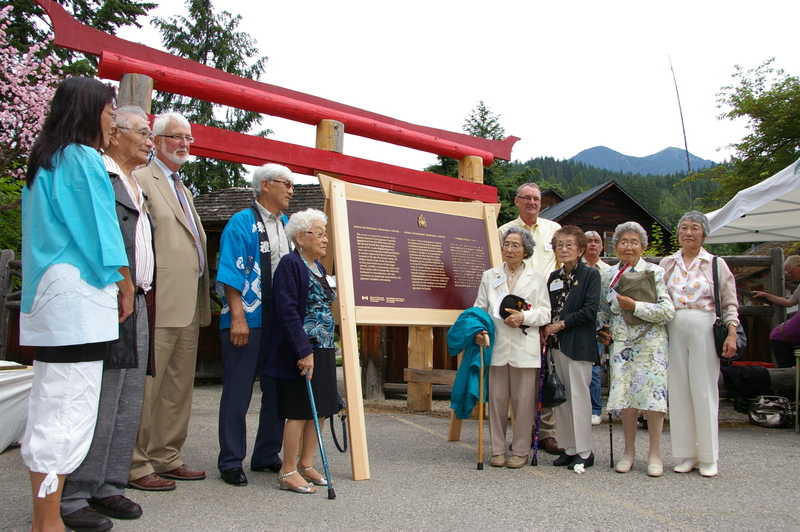 Some of these redress funds were used to establish the Nikkei Memorial Internment Centre 21 years ago—featuring the last intact examples of camp buildings in Canada. The West Kootenay region was the location of several internment camps during the war, including Kaslo, New Denver, and Lemon Creek in the Slocan Valley. There are now less than a half-dozen surviving members of the original New Denver internment living in the village. Hashimoto is hopeful that with the designation as a National Heritage Site in 2010, the Centre’s future is secure, if not immune to future political whims. Morita-Cole has created a creative nonfiction memoir that uses a seamless, non-linear flow of childhood memories to explore the impact of Japanese-American internment on herself and her family. She makes it clear that just because someone was an infant in the camps doesn’t mean there was no lasting impression. As I wrote in Laying the Children’s Ghosts to Rest, this is now bolstered by recent epigenetic studies showing that the lingering effects of trauma can last generations. Growing up in the postwar period, Cole adds the missing part of these kinds of stories: the attempt by mainstream North American culture to culturally erase Japanese peoples’ identities and subsume them to an American identity. Cole uses sensuous details combined with a fine ear for dialogue to bring to life events in her troubled family past. The effect is to place us THERE as if standing in the room beside these people, feeling their pain and mixed emotions. Yet we aren’t steeped in anguish either, since she makes sure to include enough humour to keep us happily reading. I took the opportunity to interview Morita-Cole following the book launch. I was born in what is now euphemistically called the Minidoka Relocation Center in Idaho on May 26, 1944. The prison camp where my family was detained has been declared a National Historic Site. The camp was situated on land that originally belonged to the Shoshone Tribe. When and where did your family enter the camp? My family was transferred to Camp Minidoka from Tule Lake in September 1943, which was a prison camp in Northern California. Tule Lake was being renovated into a maximum-security prison for Japanese Americans who had answered the loyalty questionnaire incorrectly as far as the authorities were concerned. My family was not considered a security risk, so we were placed in Idaho. You were in your mother’s womb when the family was interned, yet you have a distinct sense of the experience. Can you explain how? I still have no recollections of being in my mother’s womb. It was the recollections of my sister, Betty, and my own imagination that helped me piece together that opening scene in the Minidoka hospital. I guess this is why my book is considered a work of creative nonfiction. Growing up in postwar America, your memoir suggests you felt pressure to conform to a white North American lifestyle. Explain how that affected you. All the images I saw in my youth were images of successful white people in Hollywood movies, on the television screen, and in the newspapers. I remember feeling embarrassed about the cheap “made in Japan” products that were on the counters of the Woolworth store in my ghetto neighbourhood. I also recall how my family behaved whenever they were in the company of white people, who were mostly sales clerks in the stores that we frequented. My sister’s facial features would change: they’d smile, their eyes narrowing with a fear that only I could sense. They’d make sure that they did everything correctly—carefully replacing the dresses on the hangers before returning them to the clerks, putting the groceries on the conveyor belt in just the right order, and always, always speaking deferentially in order to keep the peace. They never wanted to call unwanted attention to themselves because they knew that freedom in America was provisional and that at any moment we could be put back into camps again because the authorities had done that once before. I grew up wanting to be treated equally and wanting to speak assertively in my family’s defense, and by extension, on behalf of those who are branded as outcasts by society. In what ways was this memoir emotionally difficult to write, and in what ways emotionally rewarding? What was most comforting was making that trip back into the past where I could remain in the company of my mother, my friends, and my extraordinary mentor, William Hohri. What was difficult was to trying to stay true to one’s memory, to give it life despite my discomfort and the threat of possible embarrassment. Sometimes what seems most unfair is what forms our character and makes us who we are. What were the surprises in the writing of the memoir? What was strange for me was to discover the place my family always referred to as “Hood River” was not Hood River at all but different rural areas outside of the town of Hood River called Odell, Pine Grove, and Oak Grove. The other surprising thing was to discover how much of my memoir is really my sister Betty’s story since it was her voice that I used to provide a narrative link to my family’s past, before my conscious recollections kicked in. You alluded to the many frustrations you had with the publishing process for the book. Please explain. First of all, when I submitted Sideways to the University of Hawaii Press, it was rejected on the basis that the editor considered it a piece of fiction, when it clearly states in my title that Sideways is a memoir. It was obvious she hadn’t bothered to read my manuscript before rejecting it. Secondly, my designer quit in the middle of project, which put an enormous strain on me since I had stated in my CKCA grant proposal that I was going to launch my book at the Nikkei Internment Memorial Centre in New Denver on September 12th of this year. Thirdly, I had no idea until now what it means to produce a clean, final draft of a manuscript. What legacy do you hope to leave Japanese-American descendants through this book? I’d like to leave my nieces and nephews and their children a personal history that traces the story of the Morita Clan, which began on this continent in Hood River, Oregon—a record which I hope will alleviate some of the confusions and ambiguities they may have about their family’s past. I also hope Sideways: Memoir of a Misfit will answer some unformulated questions, expose some of the unspoken truths that often lie under the surface of people’s consciousness, and bring these truths into the light where they can be better examined in order to provide a more complete historical perspective. As well, I hope to record the little known facts about important public figures, like William Hohri and Iva Toguri (“Tokyo Rose”) whom I knew when I was growing up in Chicago. My story was enriched by their presence in my life. 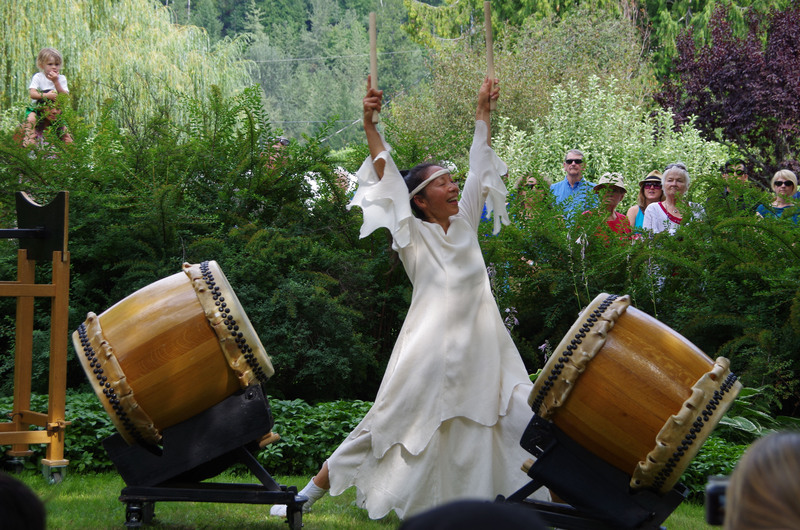 This entry was posted in book reviews, memoir, Writing and tagged Diana Morita Cole, history, Japanese-American, Japanese-Canadian internment, New Denver, Nikkei Internment Memorial Centre, social commentary, social justice, the kootenays, writing. Bookmark the permalink. Thank-you Sean, for continuing to bring forward the most important voices to heard, and just when our ears might be straining towards an official Authority instead! Ms. Cole’s authority lit up the room – unmistakeable and reassuring. Claire: As my poet friend, well-known Canadian poet Gary Geddes, has said: “Canadians have an undeserved reputation for gentleness in their history.” So it’s important to set the record straight; the Japanese internment happened on both sides of the border. Thankfully Canadians and Americans did the right thing in acknowledging the wrongs of the internment and making reparations. I wonder if that could ever happen in today’s political climate? Thanks again, Claire. The Heart Mountain Relocation Camp near Cody, WY is a re-erection of the camp that once housed over 10,000 Japanese and Japanese-Americans during WWII. It has a lovingly re-created barracks, and the remnants of the hospital with its smokestack, and an archive of the stories of its survivors, suitcases, pictures, videos, audio interviews, so well done and worthy of a visit for those who have an interest in this saga of American history. There is an annual pilgramige (sp.) in July with survivors as speakers that is an important experience to share. Search words: Heart Mountain Museum. Thank you Dean for pointing this out; until now I was only aware of the Nikkei Memorial Internment Centre, a Canadian National Heritage site, here in New Denver. It too has the restored internment shacks complete with artifacts, an interpretive history, a Japanese garden, and a small meeting hall that used to be the temple. You might want to come visit sometime!